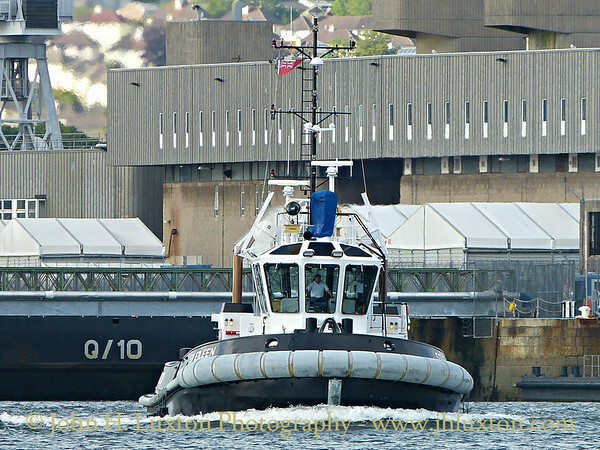 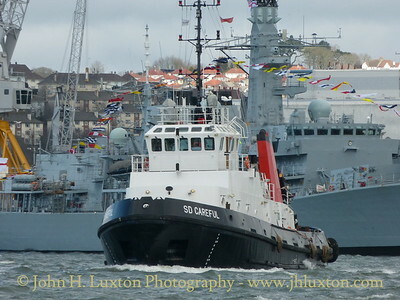 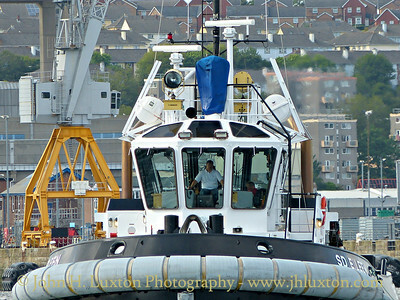 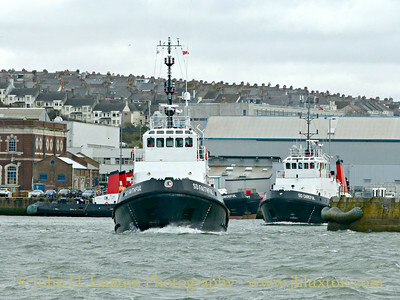 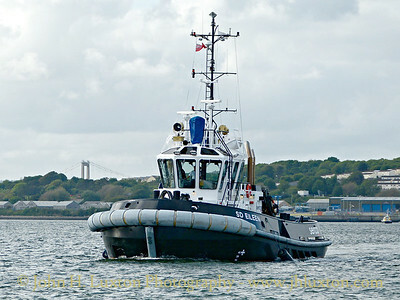 Tugs operated by Serco in support of MoD operations. 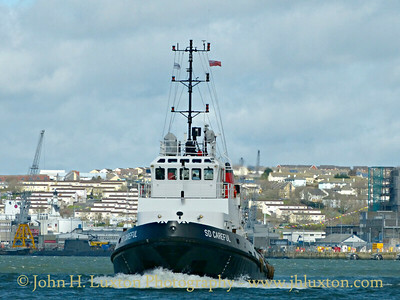 SD CAREFUL seen departing Devonport Dockyard on the early afternoon of March 27 bound for Plymouth sound to assist vessels bound for the breakwater moorings. 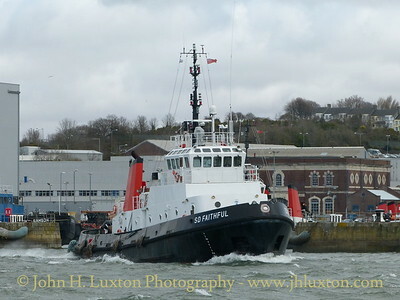 SD FAITHFUL seen departing Devonport Dockyard on the early afternoon of March 27 bound for Plymouth sound to assist vessels bound for the breakwater moorings. 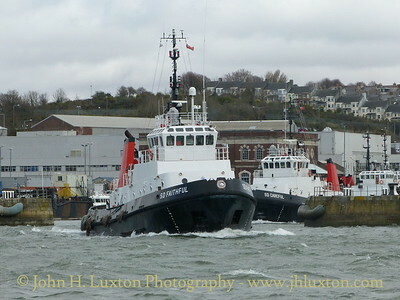 SD CAREFUL and SD FAITHFUL seen departing Devonport Dockyard on the early afternoon of March 27 bound for Plymouth sound to assist vessels bound for the breakwater moorings. 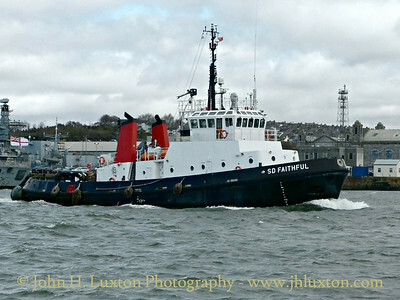 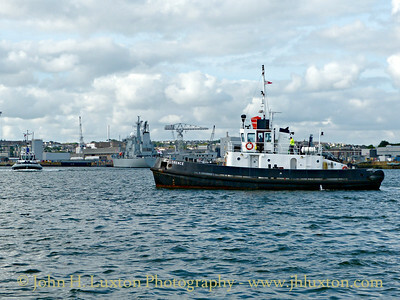 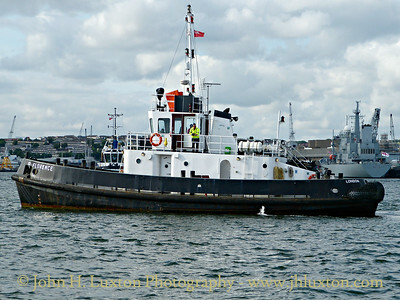 ASD 2009 Class Azimuth Stern Drive tug SD EILEEN off the Devonport Naval Base. 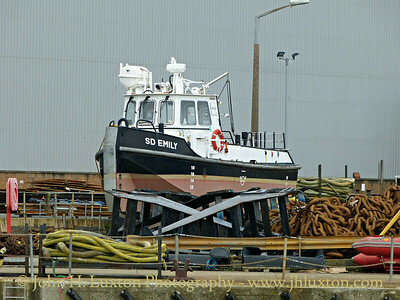 Built by Damen at Gdynia in 2010. 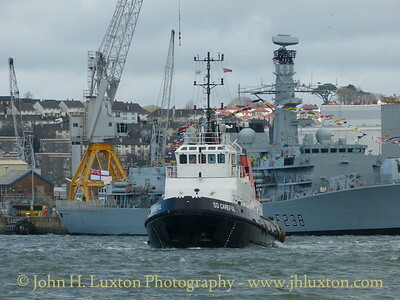 She was due to assist in the berthing of in inbound Turkish submarine. 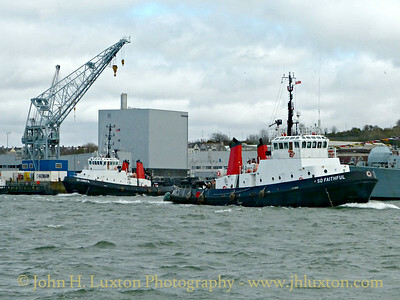 SD FLORANCE and SD EILEEN off North Yard Devonport photographed form a Torpoint Ferry. 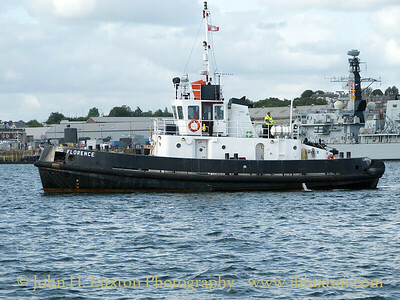 Felicity Class Water Tractor SD FLORENCE seen off North Yard at the Devonport Naval Base awaiting to the arrival of SD EILEEN. 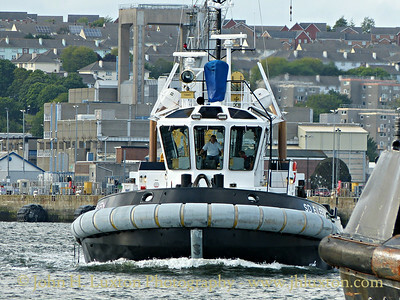 Both vessels were scheduled to assist in the berthing of an inbound Turkish submarine. 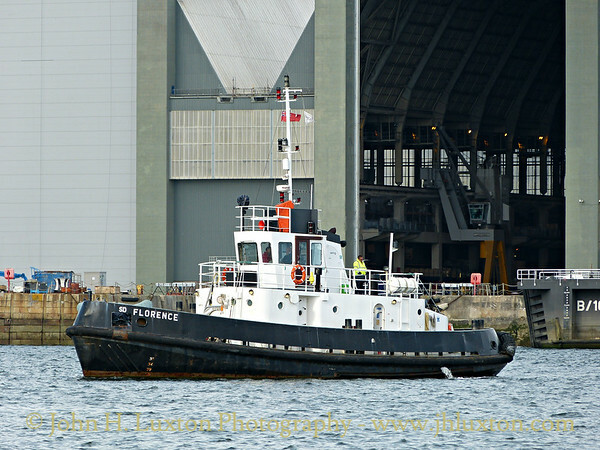 SD FLORENCE was constructed by Richard Dunston in 1980. 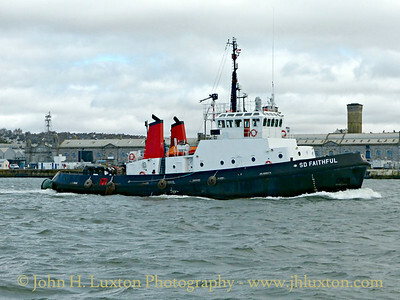 Felicity Class Water Tractor SD FLORENCE seen off North Yard at the Devonport Naval Base awaiting to the arrival of SD EILEEN. 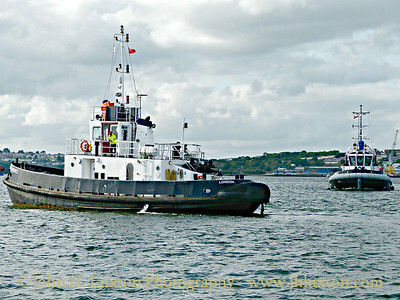 Both vessels were scheduled to assist in the berthing of an inbound Turkish submarine.